Assessment Services Restored | Riverland Radio Club Inc.
Good news! After a short lull in examination services due to a transition to a new provider, the Riverland Radio Club Inc. is back in the position to provide assessments. We currently have 2 Club Endorsed Assessors registered with the new provider, Australian Maritime Collage (AMC), with another couple or so in the process. Club General Membership for the remainder of the current subscription year. More details HERE. 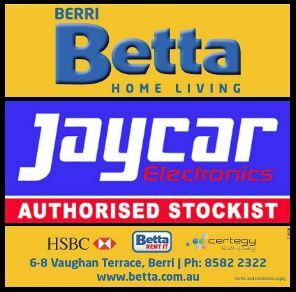 Club General Members also get a discount incentive with Berri Betta Home Living JAYCAR Authorised Stockist. For a bit more info about our assessment services and licensing stuff have a look HERE. If you want you can also have a look at our Club Endorsed Assessors or the Foundation Course & AMC-AR Assessments page. ← …And now for something completely different!